For many, the 21st century buzzword “Big Data” conjures up fears of “Big Brother,” the personified surveillance state of 1984. Many of us have grown utterly dependent upon digital technologies that feed “the cloud” with a constant stream of our personal data – the digital traces of everything we consume, communicate and believe. -Orwell could never have predicted the massive scale nor our sheepish willingness to concede our private data to corporations and governments, which can use them to serve or exploit us at will. The deluge of Big Data is mind-boggling. It is thought that every two years it doubles in size. Some 2.5 exabytes of data is generated each day – the equivalent of 250,000 Libraries of Congress. The total amount of data worldwide in 2013 was 4.4 zettabytes (4,400 exabytes). 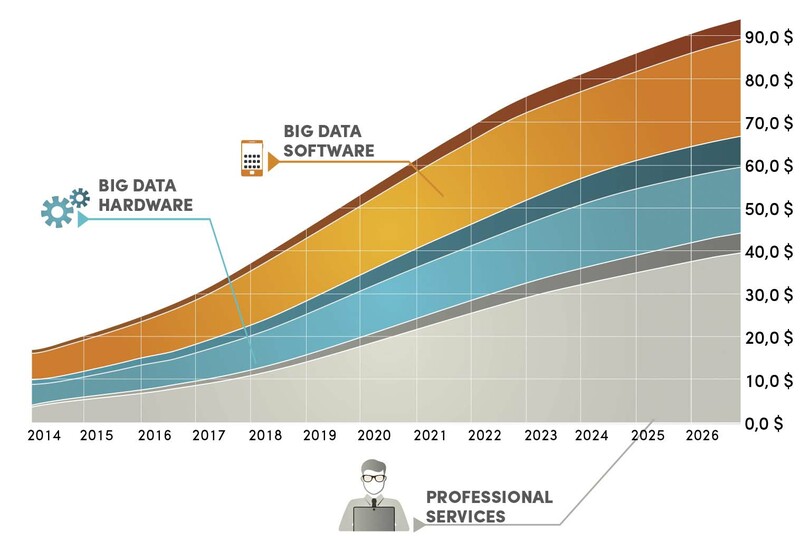 By 2020 it is expected to have grown tenfold – there will be nearly as many bits of digital data as there are thought to be stars in the universe. As ancient man gazed upon the impenetrable vastness of the heavens, he created pantheons, myths and constellations to make some sense out of it all and to bring it into the realm of human understanding. Likewise, modern man lives in both awe and fear of the enormous complexity of Big Data – the god of the new millennium. Unlocking its mystical secrets is the pursuit of “data science” – a multidisciplinary field that includes mathematics, statistics, computer science, information technology, predictive analysis and machine learning. The goal of this segment is to mine Big Data to find useful patterns that can be used to implement responsive solutions in a live environment. The oracle of this modern “religion” is the so-called data scientist, who has, according to the Harvard Business Review, the “sexiest job of the 21st century.” It topped the international recruiting website Glassdoor’s list of Best Jobs in America for 2016. Unlike yesteryear’s statistician, the data scientist is expected to be fluent in computer programming and also understand business. He or she doesn’t merely extract and analyze data to prove (or disprove) an existing management theory. Rather, the data scientist develops computer programs to generate hypotheses that no mere human manager could have dreamt of, answers them with real-time data and implements a management solution. Large and small businesses, financial institutions, governments and NGOs such as the U.N. and the World Bank Group are sitting on a vast treasure trove of data and their desire to exploit it – whether to maximize profit or create positive social change – has created a huge demand for data scientists worldwide. Companies today are investing huge sums to extract insight from the data they collect, however too few of their management employees are equipped to make competent data-driven decisions. According to the Harvard Business Review, most managers either put all their trust in empirical data or they make decisions based exclusively on gut instinct. Only 38 percent of employees and half of senior managers were found to be “informed skeptics” equipped to make better decisions by balancing judgment and analysis. Even fewer have the “data literacy” needed to turn information into good decisions. Institutions of higher education have been slow to catch up to the demand for qualified data scientists, although a global spurt of Masters-level programs did finally begin in 2012. The Vienna University of Economics and Business (Wirtschaftsuniversität Wien, or WU) finally got around to implementing a Bachelors-level program in 2016. Taking up the slack have been online courses, non-profit knowledge–sharing associations (such as the Vienna data science Group) and private training programs such as Basecamp, which debuted in Vienna this January. After years of developing their skills in the private sector, the pair founded a consulting company called Knoyd in Vienna in 2015. While acquiring clients, they discovered that many companies’ in-house data analysts were underqualified or that CEOs and HR managers had no idea what type of talent to hire. 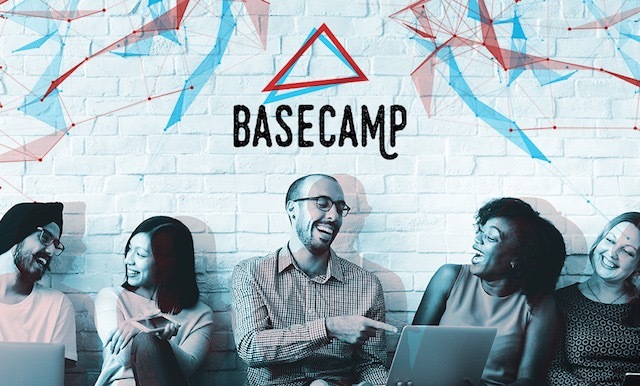 Kapasny and Toma came up with an idea to launch a two-month data science training program called Basecamp, modeled on similar “bootcamp” training courses in the U.S. and Western Europe. The goal of Basecamp is to teach participants skills by working on real projects with real data provided by real companies, which can send one of their own employees to be trained or sponsor a Basecamp participant’s training. In return, the company gets the resulting solution and/or the participant’s commitment to accept future employment. Likewise, the nonprofit Vienna data science Group sees itself as a bridge between corporations and data scientists. VDSG hosts monthly “knowledge feeds” – meetups where international and local data scientists and entrepreneurs come together to exchange ideas – as well as regular workshops and “hackathons” to hone their coding skills. 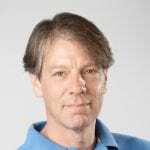 By doing this it seeks to be “a catalyzer for startups to develop their data-science strategies,” said the group’s -Deputy Chairman, Thomas Feierl. Contemplating what career field to choose? Big Data is waiting.